Growing up, all Grace VanderWaal wanted was to be a musician. And look at her now: She’s landed a major record deal! At 13 years old, that’s pretty amazing. But Grace wasn’t always sure she’d succeed — rude words made her think she’d never achieve her dream. Grace was hurt, but over time, she realized she couldn’t focus on that. “I just tried to ignore them,” she shares. Now, she blocks haters from her life — and she thinks you should, too. “Surround yourself with people who are positive,” she reveals. Interview and story by Caitlin Murphy. "Grace's painful memory: 'My whole class laughed at me!'" 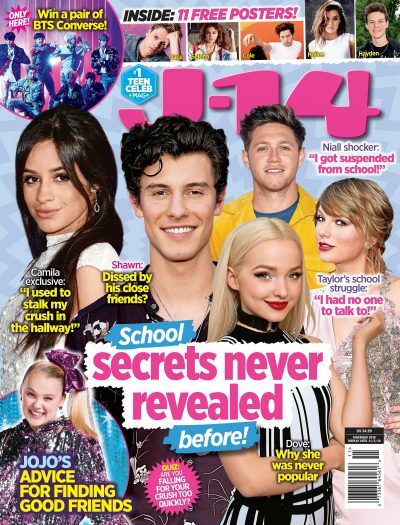 originally appeared in the September 2017 issue of J-14.